This phone case comes with 2 kickstands for viewing convenience. Multiple layers, made with PC rugged holster, hard back case and silicone rubber shock absorbing gel giving great protection. 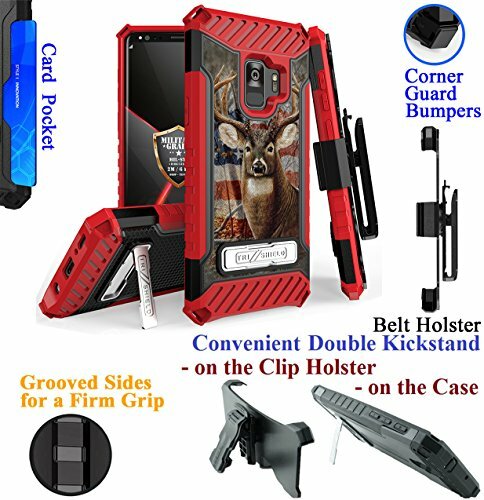 Place the phone screen-side-in in the holster. Screen is shielded from bumps and when pressed on edge of desk or sorts. Or, place the phone screen-side-out, for a quick view. The high quality and detailed construction make this a best / special fit for your need.